What’s better, the taste of molasses cookies or the smell of them in the oven? It’s a toss-up for us too. And really, who needs to choose when baking from scratch gives you the best of both worlds? If you’re especially fond of cookies and bars we think you’ll love this little collection of recipes. It’s an assortment of family favourites from long ago and new discoveries that we can’t resist, all delicious, wholesome and rich with the sweet flavor of Fancy Molasses. So whether you’re looking for lunchbox cookies, an afternoon treat or a little something sweet after dinner, I hope you’ll find it here among the 20 recipes that we have gathered for this special collection. Is your favourite molasses cookie missing from this collection? Let us know. We’re already thinking about volume two. Click here to download the cookbook! Just click to view or download. No e-reader required! Hi Marie – we’ll put a copy in the mail today. Stay safe in the big storm. We’re not planning to have it printed anytime soon. So if you’re in a hurry you could always save it to a memory stick and have it printed at Staples. A copy is on it’s way! Hi Linda — we’ll send one along. Hi Lois, we’ll get a copy of the new Family Favourites book in the mail to you. 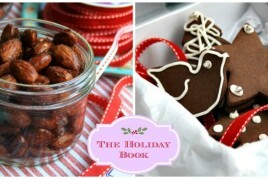 The cookie book, however, is available only as an e-book. I would love to have a copy of your cookbook but i cant get it to download . Would it be possible to send me a copy ?? Hi Marlene, We’d be happy to send you a copy. My son would love a copy of your Family Favorites. Thank you!! More likely he will serve me the Salmon dish! Hi Paulette – the Cookies & Bars book was only created as an e-book so we don’t have printed copies. can’t seem to download. Can you please send me a paper copy? Cookies & Bars was created as an e-book only so we don’t have printed copies. Sorry. I love molasses and have been eating it for a long time. Would love to have a copy of Cookies & Bars,and Family Favourites….could you please send them to me……..
We can send you a copy of the Family Favourites. The Cookies & Bars book is an e-book only so we don’t have printed copies. 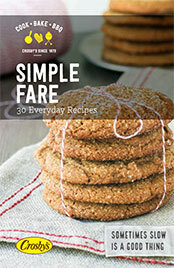 Hi Christine, The Cookies & Bars book was created as an e-book only so we don’t have printed copies. But you can save it to a memory stick and take it to Staples to be printed! Hi Nancy, We’d be happy to send you a book! I received my cookbook this week thanks so much ,would love to have a copy of the cookies and bars cookbook,so looking forward to trying these recipes. Hi Marlene, The Cookies & Bars book was created as an e-book only so we don’t have printed copies. Sorry. But many of the recipes are in the book that you just received! Hi Christine – We’d be happy to send you a copy of our new Family Favourites cookbook. Hi Shelage – I loved your Facebook comment! Such a great story. 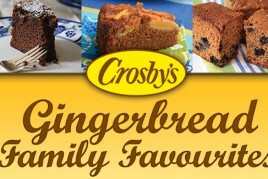 I’d be happy to send you a copy of our new Family Favourites cookbook. Would your sister like a copy too? could you please send me a coby by mail..Thanks. Hi Joan — the cookie book was created as an e-book only, so we don’t have printed copies. Hi Esther — I’m sorry to say we don’t have printed copies of the cookie book. It was created as an e-book only. Hi Jane, Our cookie book is available as an e-book only so we don’t have printed copies. However, you could save it to a memory stick and take it to Staples to be printed. I see that your system does not publish a person’s e-mail address but there are numerous personal addresses published on your site. Could this not be made private?  Hi Ann – visitors include their mailing address when they request a printed copy of our cookbook. In that case it’s a personal choice. 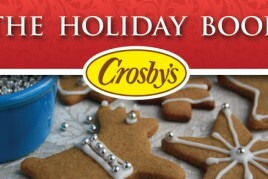 Those who prefer not to include their address can email me with the info: bridget.oland@crosbys.com. Hi Cindy, I’d be happy to mail you a copy of our Family Favourites cookbook. Our Cookies & Bars book is available as an e-book only so we don’t have printed copies. I would like a copy of your new cook book please .My Address frances Hynes box 83 Grand Le Pierre NL A0E 1Y0. Thanks . Hi Frances — We don’t have printed copies of the Cookies & Bars book (it was created as an e-book only). But I can mail you a copy of our Family Favourites cookbook. Hi Ivy — we don’t have printed copies of the Cookies & Bars book (it was created as an e-book only). But I could mail you a copy of our Family Favourites cookbook. Please send your mailing address to bridget.oland@crosbys.com. Thanks! I would love to have a cookbook. I always have Crosley’s Molasses in the cupboard for my baked beans and homemade bread. Hi Carole — I’d be happy to send you a copy of our Family Favourites cookbook. But we don’t have printed copies of the Cookies & Bars book. (It was created as an e-book only). Hi Bridget ~ My printer is very sketchy right now – if I could get a copy of Cookies & Bars sent out, I would appreciate it. Loved the cook book I received from you in the spring! Hi Deb — I’m sorry to say that we don’t have printed copies of the Cookies & Bars book. It was created as an e-book only. But some of the recipes are in the book that you currently have. Hi Denise – we’d be happy to mail you a copy! I would like a copy of this book my address is 1519 St.Charles Rd, Souris RR#5 PEI Canada C0A2B0…..Thank you. Hi Barbara – the Cookies & Bars book was created as an e-book only so we don’t have printed copies. Please send me a copy of your cook book. Thank you. Hi Barb – I’d be happy to send you a copy of our Family Favourites cookbook. The Cookies & Bars book was created as an e-book only so we don’t have printed copies. Hi Donna Lynn — we’d be happy to send you and your mom a book! Hi Donna Lynn — Just realised that we sent you a Family Favourites book in August. Guess you don’t need a duplicate. But we’ll put one in the mail for your mom. Hi Deanna – I’d be happy to send you a copy of our Family Favourites cookbook. The Cookies & Bars book is only available as an e-book though. Hi Veronica, Our Cookies and Bars book was created as an e-book only so we don’t have printed copies. If you don’t have a printer you could always download the book to a memory stick and take it to an office supply shop to be printed. Good luck! Hi Julie, Our Cookies and Bars book was created as an e-book only so we don’t have printed copies. If you don’t have a printer you could download the book to a memory stick and take it to an office supply shop to be printed. Good luck! Thank you for the cook book I didn’t have a problem downloading,can’t wait to try the Hermits.I live in Saint John ,and have been collecting Grandma Molasses antiques ,cook books,tins and pottery. Hi Nathalie, Our Cookies and Bars book was created as an e-book only so we don’t have printed copies. If you don’t have a printer you could download the book to a memory stick and take it to an office supply shop to be printed. Good luck! I received my cookbook and i really enjoy alot the the recipes,i would like to have the first edition also.Thanks ……….frances Hynes box 83 grand Le Pierre NL A0E 1Y0. Hi Frances – we’d be happy to send you the first edition too. Hi Joy, We’d be happy to send you a copy! I received the 1st cookbook and absolutely love the receipes. I would love to have the 2nd edition. I would love to have the 2nd edition. My address is PO Box 1467, Chase, B.C. V0e 1M0. Hi Joan, We’ll get a copy of our book in the mail to you today. Hi Eileen, We’d be happy to mail you a copy of our new book! I would like a copy of any of the cookbooks you have to offer please! Hi Katie, We’d be happy to mail you a copy of our new cookbook, and our original edition too. > Would love to get the 2nd edition of Family Favorites and please could i get one for my daughter as she also loves to cook. Hi Norah, We be happy to mail youa a couple of copies ofo our new book! Do we send it to your attention or to Theresa Murphy? Please let me know. Thanks. We’d be happy to mail you a copy. I agree, there’s nothing like molasses and butter on warm bread! Hi Audrey, We’d be happy to mail you a copy of our Family Favourites book. The Cookies & Bars book was created as an e-book only so we don’t have printed copies. Would you please sent me a cook book .Thanks My Adress Zita kearley Grand Le Pierre NL A0E 1Y0. We’d be happy to send you a copy! Hi Nancy – a copy is on its way! Hi Cindy, We’d be happy to mail you a copy of our new Family Favourites cookbook. The other books are available as e-books only. I love cookbooks! 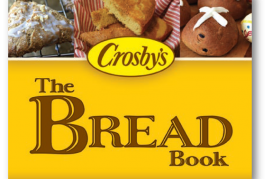 !Crosbys is local so I would really love to have a copy of anything that you have,I am interested in all different of cooking I have 2 grandaughters and with the Holiday season coming some new recipes would be great….My Address is: Mrs. Cecilia Dubee 3 Davenport Ave Apt # 4 Saint John N. B. E2k 4c2!!! !Thank you So very much for whatever If any thing you can provide me with!!!! Hi Cecelia – we’ll get copies in the mail to you this week! I would love a copy of this amazing cookbook. If you could please send me a copy in the mail I would appreciate it. Thank you. I’m sorry to say that we don’t have printed copies of the Cookies & Bars book. Have you been able to download it alright? I received the second edition last week and thank you very much. I would love the cookie one also please. I do not have an e-reader so could you please send one to me! Hi Wanda — Just spied this! Will put your book in the mail this week! Hi Wanda, We’d be happy to send you our new Family Favourites cookbook. Please send your mailing address to bridget.oland@crosbys.com. Also, our Cookies & Bars book is available online only. You should be able to view it on your computer without a hitch. Hi Nicole – We’d be happy to mail you our original Family Favourites cookbook. Our Cookies and Bars book is online only, we don’t have printed copies. But it should be easy to open on your computer (just click on the link, no e-reader required). Hi Julie – We’d be happy to mail you a copy of our Family Favourites cookbook! I have a booklet of recipes your your company that I sent away for over 30 years ago, and I still use many of those recipes! If you could please send me your latest one, I would greatly appreciate it. Hi Marie, We’ll get a book in the mail to you within the next two weeks.